"No DMD person should ever require a trach tube or develop any respiratory complications. If people follow closely what we describe here, respiratory difficulties can be eliminated." 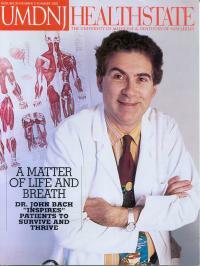 "John R. Bach, M.D., is another must-read author in the NMD community. His book, Guide to the Evaluation and Management of Neuromuscular Disease (Hanley & Belfus, Inc., 1999), presents in plain language an excellent overview of the stages of neuromuscular disease and the medical complications that may arise in each stage. One of the refreshing differences between this book and others on the subject is Dr. Bach's "good news," forged in experience rather than statistics, of the treatment options that help children and adults with NMD live longer and avoid invasive medical procedures." Summer 2002, used by permission. This official statement of the American Thoracic Society was approved by the ATS Board of Directors March 2004. HTML version is not official release and may contain some errors. Converted from official PDF release (above). New! 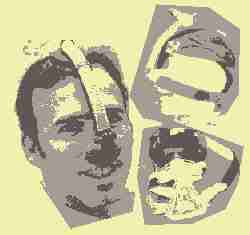 -- The latest articles added. Dr. Bach's Articles: ©2000-2004, John R. Bach, MD, used by permission. You are welcome to print or email the articles on this website provided you reference "www.DoctorBach.com". For any other use, please contact Rich Clingman prior to use.